But none of the candidates breaks the 50 percent mark. Sen. Orrin Hatch would fend off a Republican primary challenge by Rep. Jason Chaffetz, and the six-term incumbent also would defeat Democratic Rep. Jim Matheson in a 2012 general election showdown, according to a poll by The Salt Lake Tribune. However, if Chaffetz were to take on Matheson, the two-term Republican would prevail by almost the same margin that Hatch would. In the theoretical matchups  neither Chaffetz nor Matheson has declared his intention to run for the Senate seat  the poll showed no candidate able to eclipse the 50 percent mark in either a primary or general election showdown. Hatch bested Matheson, 48 percent to 43 percent in the poll, while Chaffetz topped the Democrat 49 percent to 43 percent. This general-election survey of registered Utah voters, conducted for The Tribune by Washington, D.C.-based Mason-Dixon Polling & Research, carried a margin of error of 4 percentage points. In a GOP primary, Hatch outdueled Chaffetz, 49 percent to 39 percent, with 12 percent undecided. This poll of Republican voters had a margin of error of 5.7 percentage points. Deidre Henderson, campaign manager for Chaffetz, said those numbers reflected soft support for Utah's senior senator. "The real issue is you have someone in Congress for nearly four decades that is polling less than 50 percent," Henderson said. "That says a lot." For Hatch to avoid a primary runoff, he would have to nab 60 percent of the delegate votes at the state party convention in May. 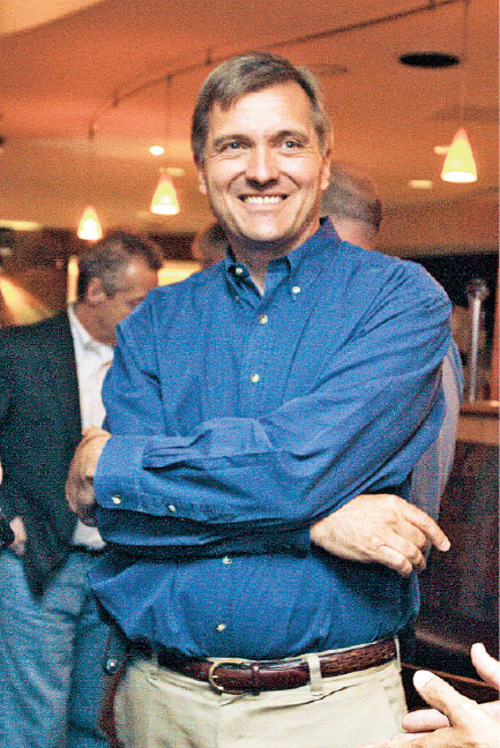 Still, Dave Hansen, campaign manager for Hatch, was fine with the poll results. "We feel very good about those numbers," Hansen said, "and they're right where we thought they'd be." Chaffetz has been touring Utah for a series of town-hall meetings, and Hatch has been staging open houses. At his forums, Chaffetz has taken some shots at Hatch, and Henderson cited the need for "someone with fresh eyes and fresh ideas." At a town-hall meeing this week in American Fork, for example, Chaffetz spoke for about 20 minutes before tearing into Hatch. "Seniority doesn't matter if you don't vote right," he said to a cheering crowd. 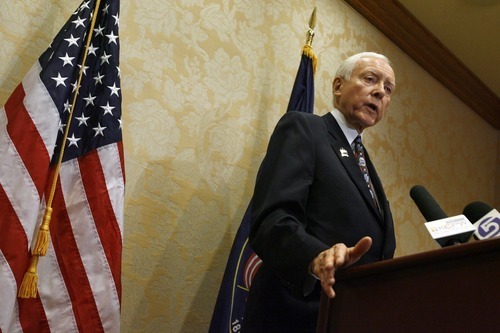 But Hansen said "the slash and burn on Orrin Hatch is wearing thin with people." Because all three politicians boast name recognition, the prospect of a contested Senate race could result in record campaign spending for a statewide race if they all chased the same seat. Dan Levin, associate professor of political science at the University of Utah, said the money chase would be a significant factor in who prevails. "If Chaffetz is serious about taking on Hatch," Levin said, "he is going to have to up that game because Hatch brought in one heck of a money bomb the last quarter, and I assume he will keep up that pace." At the end of June, Hatch had $3.4 million left in his campaign bank compared with Chaffetz's $227,000. If Chaffetz could force Hatch into a nasty primary, Levin said, that would be the best-case scenario for a Matheson bid. "He wants those two to spend down as much as they can against each other," Levin said, "and to muddy each other up." That, in turn, would help Matheson gather more independents, Levin said. 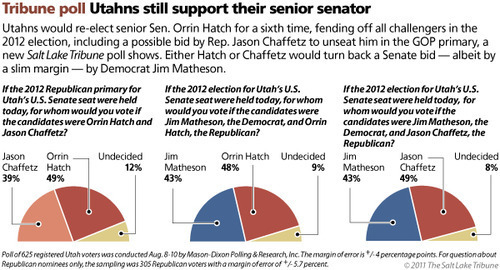 The general-election poll showed Matheson with leads among independent voters when taking on Hatch or Chaffetz. Against Chaffetz, Matheson leads 50 percent to 41 percent, while he tops Hatch 48 percent to 39 percent among independents. Faye Anderson, an 80-year-old in Benson who is an independent, said she would support Matheson in either scenario. "I want someone who is going to use common sense," she said. 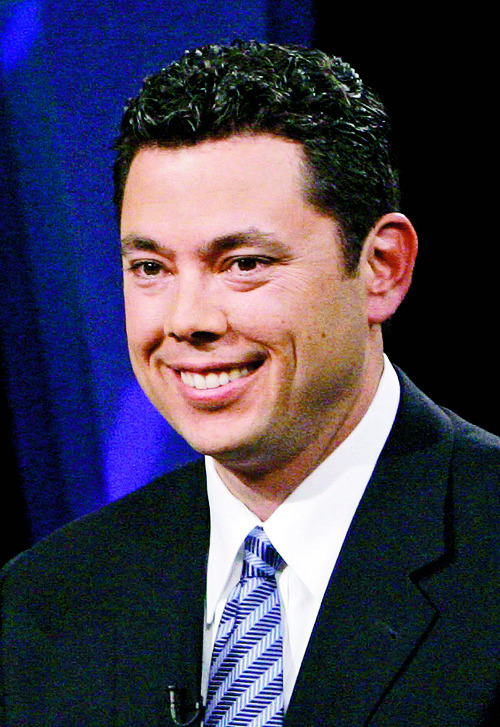 "I don't care for some of the things Chaffetz says, and Hatch has been there too long." But Richfield resident James Forsey said it's important to keep that Senate seat in Republican hands  whether it's Hatch or Chaffetz. Forsey, however, said he is a Hatch supporter first and foremost. "All things being equal, I'd probably send the Republican to Washington," he said. "It's important on a national level to do so." Matheson also showed stronger support from among those in his own party, with 93 percent of Democrats picking him over Hatch and 89 percent choosing him over Chaffetz. Support for Hatch and Chaffetz among Republicans wasn't as lopsided, with 68 percent going with Chaffetz and 70 percent aligning with Hatch. Mormons favored either Republican by almost a 2-to-1 ratio. Matheson's office declined to comment on the poll. Brett Knudsen, a 37-year-old teacher from Provo, said he backed Chaffetz because "he stands on principle, while the older and more seasoned senators seem to just go with the crowd." "I think Hatch needs to go," Knudsen said.